The National Motorists Association and the NMA Foundation are dedicated to their parallel mission, since 1982 and 1999 respectively, to protect the interests of the North American motoring public. The financial support of both organizations comes from everyday drivers like you who cherish their driving freedoms. Neither special interest groups nor profit-motivated industries exert influence over the actions of the NMA and NMA Foundation. 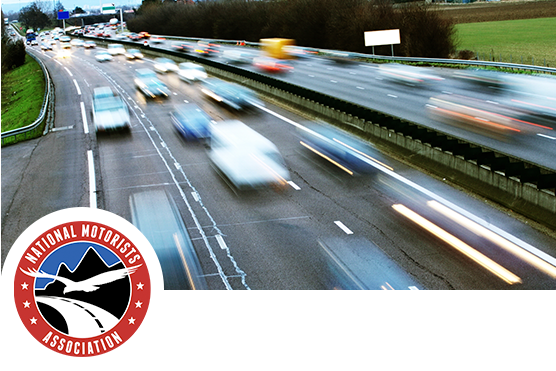 Help us defend the rights of motorists by contributing today. Your gifts will directly support the NMA’s work to influence critical legislative activity at all levels of government, and to lobby for traffic regulations and enforcement actions based on safety considerations rather than revenue-producing potential. Donations to the nonprofit, 501(c)(3) NMA Foundation will support research projects, educational programs, and legal aid grants that enhance the driving environment and driver safety. Contributions to the NMA Foundation are tax-deductible to the fullest extent of the law.